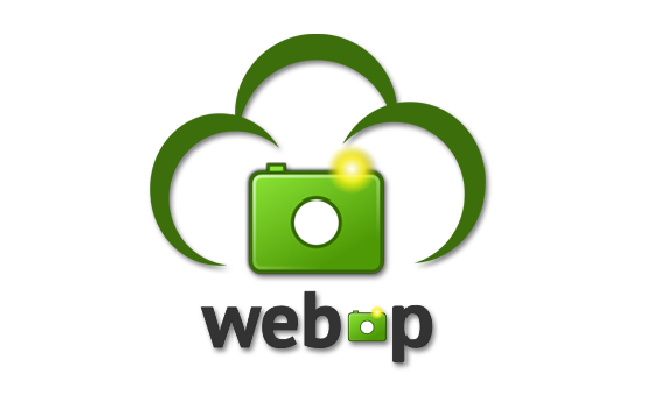 WebP is an open image format developed by Google in 2010 based on the VP8 video format. Since then, the number of websites and mobile applications using the WebP format has grown at a fast pace. Both Google Chrome and Opera support the WebP format natively, and since these browsers account for about 74% of web traffic, users can access websites faster if these sites use WebP images. There are also plans for implementing WebP in Firefox. The WebP format supports both lossy and lossless image compression, including animation. Its main advantage over other image formats used on the web is its much smaller file size, which makes web pages load faster and reduces bandwidth usage. Using WebP images can lead to sizeable increases in page speed. If your application or website is experiencing performance issues or increased traffic, converting your images may help optimize page performance. In this guide, we will use the command-line tool cwebp to convert images into WebP format, creating scripts that will watch and convert images in a specific directory. Finally, we'll explore two ways to serve WebP images to our website visitors. A Ubuntu 16.04 or CentOS 7 server set up with a non-root sudo user. Apache installed on your server. If you are using Ubuntu, you can follow step one of How To Install Linux, Apache, MySQL, PHP (LAMP) stack on Ubuntu 16.04. If you are using CentOS, then you should follow step one of How To Install Linux, Apache, MySQL, PHP (LAMP) stack On CentOS 7. Be sure to adjust your firewall settings to allow HTTP and HTTPS traffic. In this section, we will install software to convert images and create a directory with images as a testing measure. With the test images in place, and the Apache web server, mod_rewrite, and cwebp installed, you are ready to move on to converting images. The -o option specifies the path to the WebP file. Setting the quality factor -q to 100 retains 100% of the image quality; if not specified, the default value is 75. The output of the ls command shows that the size of image1.jpg is 7.4M, while the size of image1.webp is 3.9M. The same goes for image2.jpg (16M) and image2.webp (7M). These files are almost half of their original size! The converted WebP images in the /var/www/html/webp directory are about 50% smaller than their JPEG and PNG counterparts. In practice, compression rates can differ depending on certain factors: the compression rate of the original image, the file format, the type of conversion (lossy or lossless), the quality percentage, and your operating system. As you convert more images, you may see variations in conversion rates related to these factors. Writing a script will simplify the conversion process by eliminating the work of manual conversion. We will now write a conversion script that finds JPEG files and converts them to WebP format with 90% quality, while also converting PNG files to lossless WebP images. find: This command will search for files within a specified directory. $1: This positional parameter specifies the path of the images directory, taken from the command line. Ultimately, it makes the location of the directory less dependent on the location of the script. -type f: This option tells find to look for regular files only. -iname: This test matches filenames against a specified pattern. The case-insensitive -iname test tells find to look for any filename that ends with .jpg (*.jpg) or .jpeg (*.jpeg). -o: This logical operator instructs the find command to list files that match the first -iname test (-iname "*.jpg") or the second (-iname "*.jpeg"). (): Parentheses around these tests, along with the -and operator, ensure that the first test (i.e. -type f) is always executed. bash: This command will execute a small script that will make the .webp version of the file if it doesn't exist. This script will get passed to bash as a string thanks to the -c option. 'commands': This placeholder is the script that will make .webp versions of your files. Test whether or not the .webp version of the file exists. Make the file if it does not exist. webp_path: This variable will be generated using sed and the matched file name from the bash command, denoted by the positional parameter $0. A here string (<<<) will pass this name to sed. if [ ! -f "$webp_path" ]: This test will establish whether or not a file named "$webp_path" already exists, using the logical not operator (!). cwebp: This command will create the file if it doesn't exist, using the -q option so as not to print output. To convert PNG images to WebP, we'll take the same approach, with two differences: First, the -iname pattern in the find command will be "*.png". Second, the conversion command will use the -lossless option instead of the quality -q option. The script in this step is the foundation of using WebP images in your site, as you will need a working version of all images in WebP format to serve to visitors. The next step will cover how to automate the conversion of new images. In this step, we will create a new script to watch our images directory for changes and automatically convert newly created images. Creating a script that watches our images directory can address certain issues with the webp-convert.sh script as it's written. For example, this script will not identify if we have renamed an image. If we had an image called foo.jpg, ran webp-convert.sh, renamed that file bar.jpg, and then ran webp-convert.sh again, we would have duplicate .webp files (foo.webp and bar.webp). To solve this issue, and to avoid running the script manually, we will add watchers to another script. Watchers watch specified files or directories for changes and run commands in response to those changes. inotifywait: This command watches for changes to a certain directory. -q: This option will tell inotifywait to be quiet and not produce a lot of output. -m: This option will tell inotifywait to run indefinitely and not exit after receiving a single event. -r: This option will set up watchers recursively, watching a specified directory and all its sub-directories. --format: This option tells inotifywait to monitor changes using the event name followed by the file path. The events we want to monitor are close_write (triggered when a file is created and completely written to the disk), moved_from and moved_to (triggered when a file is moved), and delete (triggered when a file is deleted). $1: This positional parameter holds the path of the changed files. Create a new WebP file if a new image file was created or moved to the target directory. Delete the WebP file if the associated image file was deleted or moved from the target directory. If the matched file is a PNG image, the script will use lossless compression. If it's not, the script will use lossy compression with the -quality option. At this point, you have converted the JPEG and PNG files in /var/www/html/webp to the WebP format, and set up watchers to do this work using the webp-watchers.sh script. It is now time to explore options to deliver WebP images to your website visitors. In this step, we will explain how to serve WebP images with HTML elements. At this point there should be .webp versions of each of the test JPEG and PNG images in the /var/www/html/webp directory. We can now serve them to supporting browsers using either HTML5 elements () or the mod_rewrite Apache module. We'll use HTML elements in this step. The element allows you to include images directly in your web pages and to define more than one image source. If your browser supports the WebP format, it will download the .webp version of the file instead of the original one, resulting in web pages being served faster. It is worth mentioning that the element is well-supported in modern browsers that support the WebP format. The element is a container with and elements that point to particular files. If we use to point to a .webp image, the browser will see if it can handle it; otherwise, it will fall back to the image file specified in the src attribute in the element. Let's use the logo.png file from our /var/www/html/webp directory, which we converted to logo.webp, as an example with . We can use the following HTML code to display logo.webp to any browser that supports WebP format, and logo.png to any browser that does not support WebP or the element. To test that everything is working, navigate to http://your_server_ip/webp/picture.html. You should see the test PNG image. Now that you know how to serve .webp images directly from HTML code, let's look at how to automate this process using Apache's mod_rewrite module. Serving WebP Images Using mod_rewrite If we want to optimize the speed of our site, but have a large number of pages or too little time to edit HTML code, then Apache's mod_rewrite module can help us automate the process of serving .webp images to supporting browsers. The (?i) modifier will make the match case-insensitive. Note: You can merge this .htaccess with another .htaccess file, if it exists. If you are using WordPress, for instance, you should copy this .htaccess file and paste it at the top of the existing file. When you visit the web page using Chrome by visiting http://your_server_ip/webp/img.html, you will notice that the served image is the .webp version (try opening the image in a new tab). If you use Firefox, you will get a .png image automatically. In this guide, we have covered basic techniques for working with WebP images. We have explained how to use cwebp to convert files, as well as two options to serve these images to users: HTML5’s element and Apache’s mod_rewrite. Using the WebP format for your images will reduce file sizes by a considerable amount. This can lower bandwidth usage and make page loads faster, particularly if your web site uses a lot of images.